Dean Merit E. Janow is an internationally recognized expert in international trade and investment, with extensive experience in academia, government, international organizations and business. 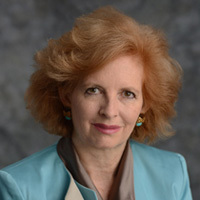 For the past 18 years, Merit E. Janow has been a Professor of Practice at Columbia University’s School of International and Public Affairs (SIPA) and affiliated faculty at Columbia Law School, teaching graduate courses in international trade and WTO law, comparative antitrust law, China in the global economy, international trade and investment policy, among others. While at Columbia University, Professor Janow was elected in December 2003 for a four-year term as one of the seven Members of the World Trade Organization’s (WTO) Appellate Body. She was the first female to serve on the Appellate Body. While on the Appellate Body, she organized a series of global conferences with leading experts and senior government officials that focused on the Appellate Body, the international trading system and economic globalization. From 1997 to 2000, Professor Janow served as the Executive Director of the first international antitrust advisory committee of the U.S. Department of Justice that reported to the Attorney General and the Assistant Attorney General for Antitrust. Prior to joining Columbia’s faculty, Professor Janow was Deputy Assistant U.S. Trade Representative for Japan and China (1989-93). She has a JD from Columbia Law School where she was a Stone Scholar, and a BA in Asian Studies with honors from the University of Michigan. She is a member of the Council on Foreign Relations and the Trilateral Commission.